Paul interviewed Autumn Echo almost a year and a half ago. In this interview, she updates us on Pulse Poetry’s progress and future plans. 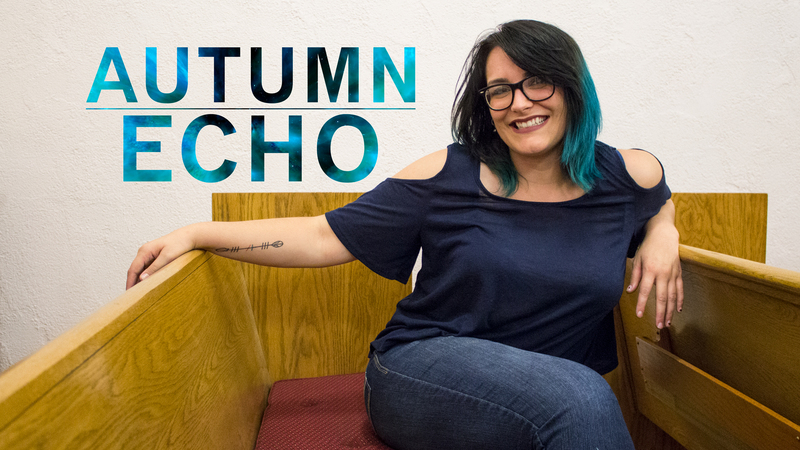 Autumn Echo is the founder and slam master of Pulse Poetry. Since we last spoke, there have been quite a few things going on. “Team Pulse” – a group of poets that help Echo with Pulse, who she describes as “incredibly talented poets and great human beings” meet a couple times a month to talk about what they’re going to do to improve Pulse events and how to reach their goals. One of the events they’ve done was called “Lab Coats Required” and Echo and her team brought in poets from the Buffalo area and other places throughout New York to perform. There are now 3 events per month. There is an open mic night the 1st Thursday of every month, a workshop the 2nd Saturday of every month, and a “Fire Nights” event the 3rd Monday. Pulse wouldn’t be what they are without their supporters and they are very grateful for the people that love and support them through every step of the way. Going forward, there are 6 poets that meet together on a regular basis and their goal is to become PSI certified – which means it will be a certified poetry slam event and they will be able to qualify for bigger events and the National Poetry Slam. It’s a great achievement to have under their belt and it’s very nice to be considered “official.” There will be more team pieces where they will be collaborating to write new material to present to the public. Echo states that performing in Chautauqua is very interesting, as it would be anywhere. Finding the right demographic and the right way to do things is always challenging. She noticed that the way slams are usually held didn’t quite work for her Chautauqua audience, so instead of 4 or 5 people in the audience voting, everyone is involved. They even have ballot voting! Bringing everyone together to be a part of the event seems to be so much more rewarding. Jamestown and Chautauqua coming together and being welcome in one place regardless of their background is very important to Echo and her team and they are all met with open arms. We hope to see you around at one of their events soon!